Ancient Mesopotamia occupied the area between the Tigris and Euphrates Rivers (modern Iraq). 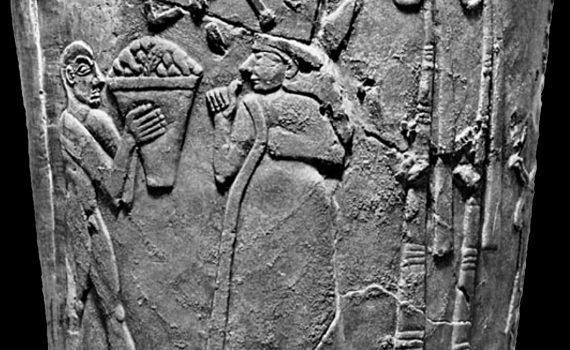 The Ancient Near East is often referred to as the Cradle of Civilization. c. 4000 - 2339 B.C.E. Sumer was located in southern Mesopotamia, and it is here that we find some of the oldest known cities, including Ur and Uruk. c. 2334 – 2193 B.C.E. 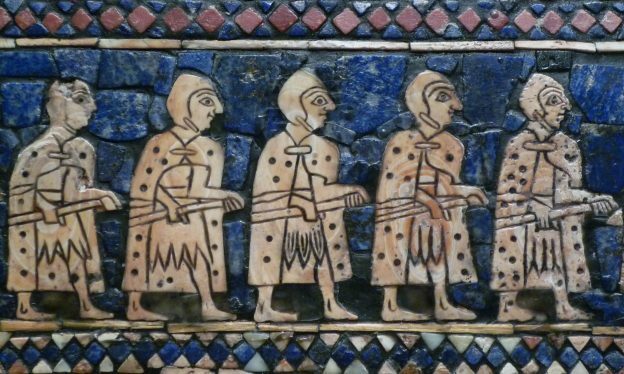 The Akkadian Empire was begun by Sargon, a man from a lowly family who rose to power and founded the royal city of Akkad (Akkad has not yet been located, though one theory puts it under modern Baghdad). c. 2112 – 2004 B.C.E. The Third Dynasty of Ur arose some time after the fall of the Akkad Dynasty. c. 1850 - 539 B.C.E. For two thousand years the myth of Babylon has haunted the European imagination. The Tower of Babel and the Hanging Gardens, Belshazzar’s Feast and the Fall of Babylon have inspired artists, writers, poets, philosophers and filmmakers. c. 1365 - 609 B.C.E. c. 550 - 330 B.C.E. The ancient Persians (also called the Achaemenids) created an enormous empire reaching from the Indus Valley to Northern Greece and from Central Asia to Egypt. What can we learn from the art of some of the earliest cities?